I believe the most helpful step in forgiving is to receive validation that the injustice we are perceiving is real. From a purely practical standpoint, it is impossible to forgive an injustice that has not been identified as unjust. This is why it is so difficult to deal with dishonest and manipulative people. They are masters at hurting us in ways we can’t put our fingers on, or finding ways to blame us for the injustices they perpetrate. That double-whammy of being blamed for what someone else did to us is one of the things that turns anger into white-hot impotent rage. Once you are reassured that your feelings can be trusted, only then is it safe to let them go and practice forgiveness. Note: you need to hear that your anger is valid even if it isn’t true. You can’t see a situation clearly until the fog of anger clears, and the fog of anger will not clear as long as it is being argued with, dismissed or minimized. This is why small fights can escalate so easily. When both people are wrong, neither is able to see their part in the problem until the other person’s wrongs are acknowledged first. It is not so much about the other person being wrong – it is about legitimizing our experience of reality. The most terrifying thing in the world is to fear that you can’t trust your own perception of reality. The fear that you might be angry for no reason makes you work even harder to prove that you do have a reason. Once someone else validates that you did have a reason to be upset, then the fear dissipates. Then you desire for connection, understanding, compassion and forgiveness can take over. Once fear and anger are not clouding our judgment, we can walk through the four steps of forgiveness described in “Four Tools of Emotional Healing” and let go of our resentment and expectations. That doesn’t mean we will suddenly become best friends with those who have hurt us, but it does mean that the emotional chains that kept us bound to them will be broken. Whether we are unemployed, under-employed, or just feeling poor, financial problems can make us feel unworthy, unsuccessful and unloved. In other words, a crisis in funds can bring about a crisis in faith as well. Where is God when we need Him, anyway? So let’s start with the basics. Being poor or under financial stress is not a punishment from God. It is not a sign that you are any less worthy of His blessings and assistance than your neighbor. God loves you very much, and wants you to have the very best that life has to offer – both materially and spiritually. What are the implications of that simple statement? God loves you. God wants you to have the very best that life has to offer – both materially and spiritually. God is also all-powerful. This means that God has the power to give you the very best. What God can’t do, because of our Free Will, is force us to receive the good things that He offers. God sends us bounties and blessings every moment of every day. They are as plentiful as raindrops falling on the ground. But like the soil, our hearts must be prepared to receive these blessings, or they will wash away without sinking in. If we really want to change our financial and spiritual situation, we must educate ourselves to be able to recognize, receive and benefit from the gifts and bounties that God is already bestowing upon us. This post is called a “spiritual guide…” Most people think of spirituality as a tool for helping people deal with the trials of being poor rather than as a tool for helping poor people become rich, yet as more and more people find themselves struggling with financial difficulties, the need to re-think our attitude towards wealth has never been greater. But it didn’t take a bankruptcy to tell me that not having enough money was difficult. I had pretty much defined myself by my poverty for my entire life. In spite of adequate looks, talent and intelligence, my financial situation had determined who I dated, where I went to school, how I dressed, where I socialized and what kind of jobs I felt I deserved. Going bankrupt was just the “hitting bottom” that I needed in order to force me to rethink my entire perspective on wealth. In other words, it was a gift from God. If you are interested, I would like to share that gift with you ­– not the bankruptcy, but the new perspective. Before I went bankrupt, I was a member of the Bahá’í Faith who believed that it was more spiritual to be poor than to be rich. After the bankruptcy, I was still a member of the Bahá’í Faith, but now I was open to the possibility that God wanted me to acquire the wealth that was necessary for me to serve Him to my fullest potential. I read the same quotations, but I saw something different. That’s one of the great things about the Bahá’í Faith – it leaves room for lots of perspectives. What I am sharing with you in this post is just one of those perspectives. I hope you find it helpful. This quotation says that wealth is needed, commendable and praiseworthy! That is a far cry from the two quotations I grew up with: “Money is root of all evil,” and, “For it is easier for a camel to go through a needle’s eye, than for a rich man to enter into the kingdom of God.” (Luke 18:23) Was Bahá’u’lláh saying that the Bible was wrong? Never. The Bible is the word of God. What I discovered was that the real quotation (1Timothy 6:10) says that the love of money is the root of all evil. In other words, loving money, possessions, power or things more than God or each other is evil. Money is a tool, created by God to serve God’s Will. It is wrong to love the tool more than the service it provides. I also learned that a “needle’s eye” was the name for the special gate that ancient fortified cities left unlocked at night after the large main gates were closed. It was small and easy to guard, but the only way a camel could pass through was by having all of its baggage removed, and crawling on its knees. In other words, like a camel, a rich man must be willing to let go of his possessions and humble himself to enter the Kingdom of God. Difficult? Yes. Rare? Yes. Impossible? No. In fact, Bahá’u’lláh, like Christ, says that it is difficult to balance both wealth and spirituality, but also says that the few who succeed are very special. Begin with an unshakable faith that all bounties come from God, Who is Infinite, All-Powerful, Most Generous and All-Wise. Wealth, which is just one of God’s many bounties, is also infinite when it is generated in the service of the Will of God. 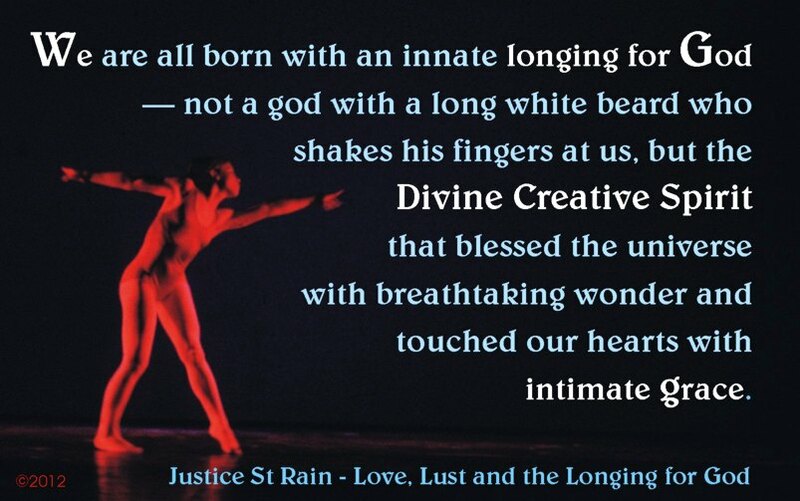 God from everlasting was Love, Justice, Power, Creator, Provider, the Omniscient, the Bountiful. Understand that wealth is a tool. Don’t love it, fear it, resist it or worry about it. Use it to serve God’s will and God will provide you with more. O SON OF MAN! Should prosperity befall thee, rejoice not, and should abasement come upon thee, grieve not, for both shall pass away and be no more. Understand that wealth is not just money. Wealth is all of the infinite resources that God has placed under our influence – knowledge, power, friends, health, talents, virtues, and, yes, money. Then it is clear that the honor and exaltation of man must be something more than material riches. Material comforts are only a branch, but the root of the exaltation of man is the good attributes and virtues which are the adornments of his reality. These are the divine appearances, the heavenly bounties, the sublime emotions, the love and knowledge of God; universal wisdom, intellectual perception, scientific discoveries, justice, equity, truthfulness, benevolence, natural courage and innate fortitude; the respect for rights and the keeping of agreements and covenants; rectitude in all circumstances; serving the truth under all conditions; the sacrifice of one’s life for the good of all people; kindness and esteem for all nations; obedience to the teachings of God; service in the Divine Kingdom; the guidance of the people, and the education of the nations and races. This is the prosperity of the human world! This is the exaltation of man in the world! This is eternal life and heavenly honor! Understand that wealth is not a limited resource to be sliced up or fought over (like an apple pie). Wealth grows and is self-generating when it is nurtured and trained (like an apple tree). As a tool, God wants us to have as much wealth as we are mature enough to use wisely – but you don’t give a power saw to a toddler or a million dollars to a teen. Wealth without wisdom is dangerous. Service is both the goal of wealth and one of the generators of wealth. The wise wish to serve, and through this service their wisdom deepens. Don’t look to the lottery, but rather find the field of service that inspires your heart and let it enrich you. O MY SERVANTS! Ye are the trees of My garden; ye must give forth goodly and wondrous fruits, that ye yourselves and others may profit therefrom. Thus it is incumbent on every one to engage in crafts and professions, for therein lies the secret of wealth, O men of understanding! For results depend upon means, and the grace of God shall be all-sufficient unto you. Trees that yield no fruit have been and will ever be for the fire. Wealth without detachment is a chain that drags our thoughts away from God and towards our material lives. It is a curse instead of a gift. Wealth with detachment makes us illumined servants of God that can accomplish great and wonderful things. We prepare ourselves for wealth by nurturing the virtues that make it safe and useful – detachment, faith, wisdom, maturity, generosity, gratitude, trustworthiness, and the love of God, family and friends. Sometimes we are prepared for wealth, service and compassion by being shown what poverty feels like. O CHILDREN OF DUST! Tell the rich of the midnight sighing of the poor, lest heedlessness lead them into the path of destruction, and deprive them of the Tree of Wealth. Responsible generosity is a sign of detachment. Regular tithing (giving a percentage of our material wealth to God) is a sign of faith, gratitude and love. These two behaviors demonstrate our ability to handle wealth and draw down special bounties and blessings from God. The less wealth you have, the more important it is that you practice them conscientiously. I have mentioned several times now that wealth is praiseworthy when it is used in alignment with the Will of God. How does one balance the gift of Free Will with the obligation to follow the Will of God? I have never believed that God wants us to blindly surrender our will to the “cosmic flow.” On the other hand, willful efforts to plan and control our own destiny are doomed to failure. Perhaps the serenity prayer expresses this dilemma most succinctly: how can we have the serenity to accept the things we cannot change, the courage (and will) to change the things we can, and the wisdom to know the difference? Even this dichotomous approach may be too simple. We need both serenity and courage for every situation – constantly exerting effort to align our will and the world around us to more closely match the Will of God. It is like white water rafting. We can neither fight the current, nor surrender to the current, but must, on a second-by-second basis, adjust our efforts to augment and align our movement to the onrushing current of destiny. This dilemma is not just an abstract, theoretical one. The balance between free will and surrender is at the heart of all issues surrounding power, control, authority, obedience, and sacrifice. Our relationship to our parents, to God, and to all forms of authority circle around this balance. Interestingly, our relationships with money and wealth are also caught up in this dilemma. From the perspective of control, money and wealth are tools for exerting one’s will over other people and the world as a whole. People who go out and “do battle” in the business world are trying to wrest control of their fate from the hand of God. They believe that if they just have enough money, they will have the power, the prestige and the respect they need to control their lives, to feel secure, and to be important. From the perspective of surrender, money or wealth are symbols of God’s love and good pleasure, or, conversely, His wrath and justice. Our attitude towards authority of all kinds will be reflected in our feelings about where our money comes from, how much wealth we deserve, and how hard we have to fight to receive it. I know, blogs are for words, and pictures are for Pinterest, but I’ve illustrated some quotations from my new book and wanted to see how they looked here. This is the first sentence of The Secret of Emotions which is the first volume in the Love, Lust and the Longing for God series. About 20 years ago, I did some work around needs and wants. My deep seated belief (my inner child’s belief, if you will) was that God only gave me what I needed, but I never got (didn’t deserve) what I simply wanted. This did two things. First of all, it meant that I didn’t allow good thing into my life unless I thought I absolutely needed them. This kept me blind to many blessings and opportunities that were all around me. Second, it kept me in a state of constant desperation. If I wanted something, I had to convince myself that I NEEDED it, or I knew I would never get it. Of course if I needed it and didn’t have it, then life was pretty awful. This approach was most evident in my choice of a lifestyle in which I demonstrated on a daily basis my desperate NEED for a relationship with a woman. I was afraid that if I didn’t convince the universe that I needed a woman in my life, I would spend the rest of eternity alone. Of course, this desperation was not particularly attractive to emotionally healthy women, so it made it difficult for the universe to give me what I wanted. To prove to me that I was allowed to have my wants as well as my needs met, My therapist invited me to think of something I simply wanted, but did not really need, and then ask the universe (God) to bring it to me. Believe it or not, I asked for an electric toothbrush. I had recently gone bankrupt, and the idea of spending $70 on a toothbrush seemed outrageously frivolous. But I really did want it. A few days later, God found a way to double my income overnight, and I went out and bought that toothbrush. Believe it or not, this is NOT about the law of attraction. It is not about attracting what we want, It is about giving ourselves permission to accept more of the good that the world has to offer. God wants us to have everything. God wants YOU to have everything – even a committed, loving relationship. But He wants it to be healthy. That means that it can’t be about desperation. You have to want it for the right reasons, not need it for the wrong reasons. Tyranny of the One, or Terrorist Tactics in the Consultative Process. This article originally appeared in my catalog, addressed to the Baha’i Community, but the points it makes can be applied to any group trying to make a decision. These techniques are often played like cards, with restrictive trumping loud, emotional trumping restrictive, and, of course, a loud, emotional, fearful expression of the dire consequences of not following the most narrow-minded puritanical path being the highest trump of them all. Since any action offers more potential problems than no action at all, a person who wants to maintain control of a community can easily use these techniques to guarantee that many hours of consultation result in absolutely no movement in any direction. It is too much for anyone to expect these petty tyrants to change their ways. It is up to the rest of the believers to simply learn to recognize these techniques for what they are, and simply walk around them. If a person is loud, simply thank them for their contribution and then make sure that all other voices are heard – even, perhaps, asking other people to speak up when they share. If a person is being narrow-minded and restrictive, thank them for their perspective and remind them that the Faith includes a wide range of cultures and perspectives, and that we may have to travel a middle path in order to let everyone feel comfortable. Not everyone is ready or able to walk the path of perfection just yet. How many times have I heard the phrase “the Cause deserves the very best” as a way of making sure that the Cause got nothing – whether it was a Bahá’í Center or fun activities for the youth. If they are fearful, ask if the community wants to make decisions based on fear rather than trust in God. One community had to completely reorganize a race unity event because one person tearfully expressed the fear that if the entertainment took place before the potluck, then someone might bring some food with eggs in it, and it might get hot, and that extra 20 minutes might be just enough to poison everyone there. We might as well start holding our meetings over the phone, because someone might get hit by a car on their way to the meeting. Emotional blackmail is one of the most difficult things for a community to overcome. We are so uncomfortable with emotional expression, that we are willing to cave in to any request just to get it to stop. The first thing we can begin to do is to become more intimate with each other. When we are intimate, we share emotions. When we become comfortable with people sharing a wide range of emotions, then we will not panic when it happens during consultation. The second thing we can do is simply say “Thank you for that piece of sharing. Emotions are important tools of perception to tell us about the virtues and principles involved in a situation. But they are only one of several mutually supportive and mutually fallible tools. Would anyone like to address the rational and writings-based evidences that would be pertinent to this question?” Emotions then become one tool in the process rather than the trump card that blasts away the seemingly cold, hard intellectual perspectives. I have outlined several of the techniques that people use to hijack consultation, and the responses you may use for each of them. But ultimately, you cannot control the response, behavior or votes of other members of your Community or Assembly. What you can do is simply make sure that your own vote always follows the path of love, rather than the path of least resistance. When an issue is raised, and two or more “camps” immediately take positions, simply ask yourself which position, if either, is motivated by love rather than fear; love rather than control; love rather than perfectionism; love rather than tyranny. Then support love – even if the specific proposal is does not impress you as being the “best.” If neither “camp” is motivated by love, then choose neither. Love is always the best, even when it is less logical, theological or perfect. In always choosing love, you slowly drain the power away from all other motivations, and the community will then be guided entirely by love. This same perspective can be used during annual elections. Instead of looking for the most knowledgeable, most charismatic, hardest working, most visible people, vote for those whose actions, not their words, always seem to be motivated by, and expressions of, love. Instead of electing people who are good at telling other people what to do, we can fill our administrative order with people who are good at doing what we have been called to do – loving each other. JUSTICE on Kill Them with Kindness, or Turn the Other Cheek?